In October it was revealed that the Abu Dhabi Grand Prix would fall on Sunday December 1, 2019, meaning the racing action would take place on the weekend which has typically been dominated by the Dubai Rugby Sevens tournament. However, it looks set to be avoided, as it would appear Dubai Rugby Sevens has been pushed back by a weekend. 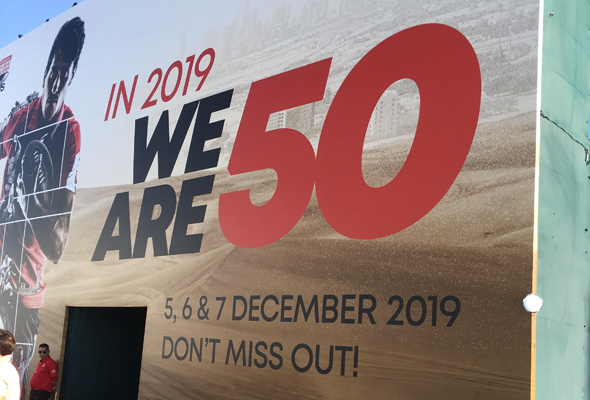 Although no official confirmation has been released, huge billboards at the Rugby Sevens festivities over the weekend advertised that the 50th anniversary tournament will take place from Thursday December 5 to Saturday December 7 2019. This would mean that in 2019, the Abu Dhabi Grand Prix action would take place on the weekend before National Day, with Dubai Rugby Sevens taking place the weekend after. In October, the FIA (motorsports governing body) approved a handful of changes to the F1 race season over the weekend, which included starting the 2019 season a week earlier than usual on March 17, 2019, and finishing the 21-race season a week later in Abu Dhabi, which caused the clash.